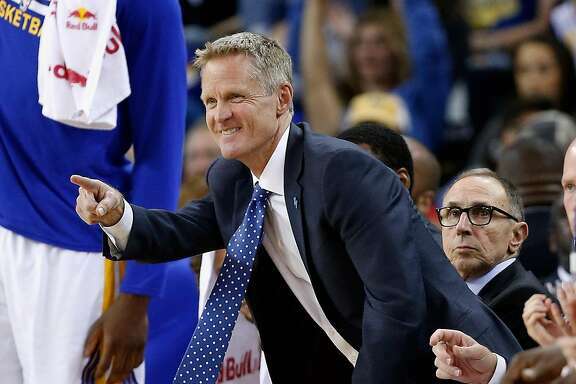 Steve Kerr as coach of the Golden State Warriors, who have won the NBA title in two of the past 3 years. He has had a post laminectomy syndrome ever since, sidelining him for 43 games in 2015-16 and more earlier this year. In the postseason, he missed games 3 and 4 against the trailblazers alarming fans that this could be a long-term issue that might result in his early retirement. This view isn’t shared by most Doctors. Talking to MercuryNews Dr. Kee Kim, chief of spinal neurosurgery at UC Davis says “I can understand where he’s coming from… but most patients do well after surgery”. Studies looking at post laminectomy syndrome also suggest this, with a 2008 publication finding that around 7% of patients have some sort of neuralgia (nerve pain) after surgery. In Kerr’s case, it has been reported he has a persistent leak (where a small hole has been made in the dura layer surrounding the spinal cord, leaking cerebrospinal fluid and causing pain). Whether this is resolvable with rehab or if Kerr will need more surgery (which he would seemingly refuse) is unknown. What treatment is available for Kerr and others? The issue is a common one and has affected many people across America apart from Kerr. Sunny Martinez works as a media saleswoman and told MercuryNews “When you can’t walk, sit, or sleep — when you are literally crawling off your couch — you will try anything,”. There are a number of treatment options available for post laminectomy syndrome which aim to either treat the pain or address the underlying damage. Epidural nerve blocks – in this procedure, steroids are injected into the space around the spinal cord to reduce inflammation. This reduces the likelihood that pain nerves will fire pain signals to the brain, reducing one’s pain. Spinal cord stimulation: A small electrical device generates an electrical current in the spinal cord that stops pain signals from traveling to the brain. Radiofrequency ablation: a probe is inserted and thermal energy results in pain fibers dying. This stops the pain from being generated and sent in signals to the brain. So it seems the coach has found new treatment options from the best surgeries for post laminectomy syndrome to control the pain and get back to what he does best.